Her interests in portraits has been stemmed since young by the beauty, peculiarity and the uniqueness of the human features and figures. 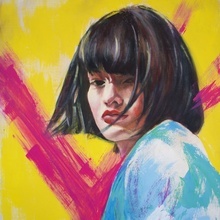 Her works taps on portraiture both in subdued figurative and contemporary style. 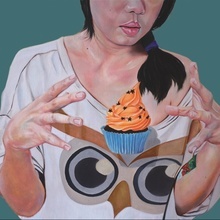 MāMa is a full time fine-art painter and illustrator. She produces all of her work from her tiny home studio. She paints murals from time to time, both locally in Malaysia and in Europe. She hopes one day to have a bigger studio to work in so she can paint on bigger canvases. She finds her inspiration from personal experiences, quirky daily nuances, influences from both western and eastern culture, music, past and current artists that she admires. She enjoys the occasional F.R.I.E.N.D.S episodes, photography, people watching, reading, travel, working out, playing the guitar, good food and good company.